Abstract: In this seventeenth episode Karin and Elizabeth discuss the academic essay ‘‘The Isle Is Full Of Noises’: Revisiting The Peter Pan Of Pop’, which Elizabeth wrote in 2014, while researching and writing The Dangerous Philosophies of Michael Jackson: His Music, His Persona, and His Artistic Afterlife. Elizabeth also answers questions asked by followers of @MJAS29 on Twitter. Merx, Karin, and Elizabeth Amisu. 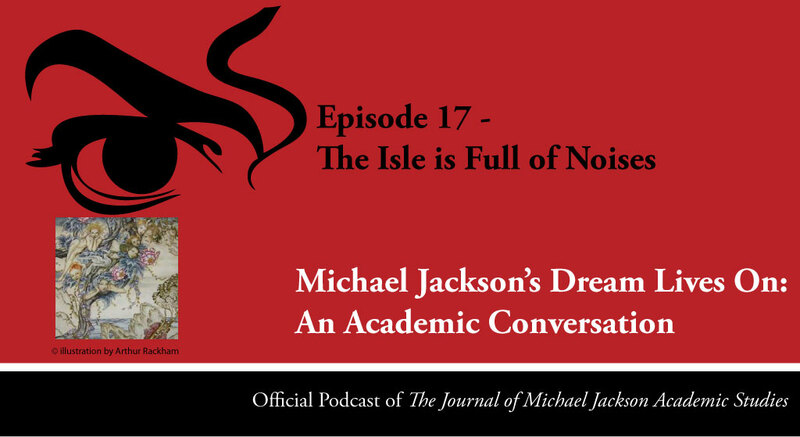 “Episode 17 – The Isle is Full of Noises” Podcast, Michael Jackson’s Dream Lives On: An Academic Conversation 3, no. 2 (2016). Published electronically 07/10/16. http://michaeljacksonstudies.org/episode-17/. 1. What was the idea behind the essay? 2. How Michael Jackson relates to Shakespeare’s Ariel. 3. How the press used the epithet ‘Peter Pan of Pop’ to diminish Michael Jackson as an artist. 4. How Jackson connects with Fitzgerald, Wilde, and J.M. Barrie. 1. Amisu, Elizabeth. “‘The Isle Is Full of Noises’: Revisiting the Peter Pan of Pop.” The Journal of Michael Jackson Academic Studies 1, no. 1 (2014). Published electronically 25/08/16. http://michaeljacksonstudies.org/elizabeth-amisu-the-isle-is-full-of-noises-revisiting-the-peter-pan-of-pop-2/. 4. Amisu, Elizabeth. “‘Crack Music’: Michael Jackson’s ‘Invincible’.” The Journal of Michael Jackson Academic Studies 1, no. 2 (2015). Published electronically 24/10/14. http://michaeljacksonstudies.org/elizabeth-amisu-crack-music-michael-jacksons-invincible/. Originally published in Writing Eliza (2014). 23/10/14. http://elizabethamisu.com/2014/10/23/crack-music-michael-jacksons-invincible-2/. 6. Shakespeare, William, The Tempest, V. M. Vaughan & A, T. Vaughan ed., (Arden, 2011). 7. Yates,Frances F., Shakespeare’s Last Plays, (Routledge, 2007). 8. McMullan, Gordon, Shakespeare and the Idea of Late Writing: Authorship in the Proximity of Death, (Cambridge, 2010). 9. Amisu, Elizabeth, ‘Invincible, Michael Jackson’s Lost Late Album’, The Dangerous Philosophies of Michael Jackson: His Music, His Persona, and His Artistic Afterlife (Praeger, 2016). 10. Colby, Tanner, “The Radical Notion of Michael Jackson’s Humanity”, Slate.com, http://www.slate.com/articles/arts/culturebox/2014/06/michael_jackson_death_anniversary_we_recall_thriller_and_bad_but_what_about.html (2014). 24/06/2014. 11. Amisu, Elizabeth, Ripe Earth (The Ripe Earth Trilogy Book 1), (Writing Eliza, 2016). 12. Wilde Oscar, The Profundis, (CreateSpace, 2016). 13. Wilde Oscar, The Picture of Dorian Gray, (Wordsworth, 1992). 13. F. Scott Fitzgerald, The Curious Case of Benjamin Button: And Six Other Stories, (Penguin Classics, 2008). 14. Fisher, Mark ed., The Resistible Demise of Michael Jackson, (Zero Books, 2009). 15. Woodward, Susan, Otherness and Power: Michael Jackson and His Media Critics, (Blackmore Books, 2016). 16. Woodward, Susan. 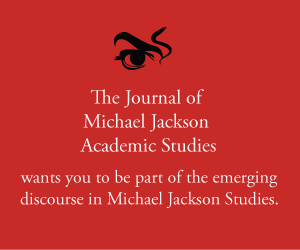 “An Interview with Susan Woodward.” Interview, The Journal of Michael Jackson Academic Studies 2, no. 3 (2016). Published electronically 21/05/16. http://michaeljacksonstudies.org/an-interview-with-susan-woodward/. 17. Miller, Alice, The Drama of the Gifted Child: The Search for the True Self, (Basic Books, 1997). 18. The Little Prince, Animation, (Netflix, 2016).